Workforce Mat is another iteration on the desk organizing system first featured in the Workforce desk. 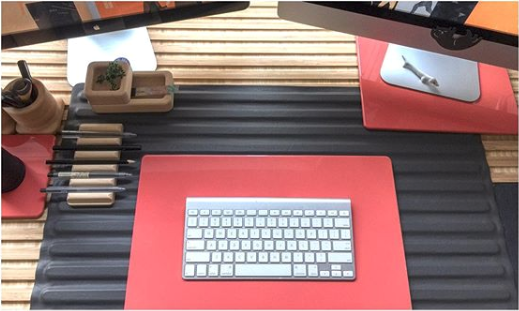 This time, instead of an entire desk it is a rollable mat that individuals can place atop their existing desk, providing an organizational grid to keep things nice and tidy! 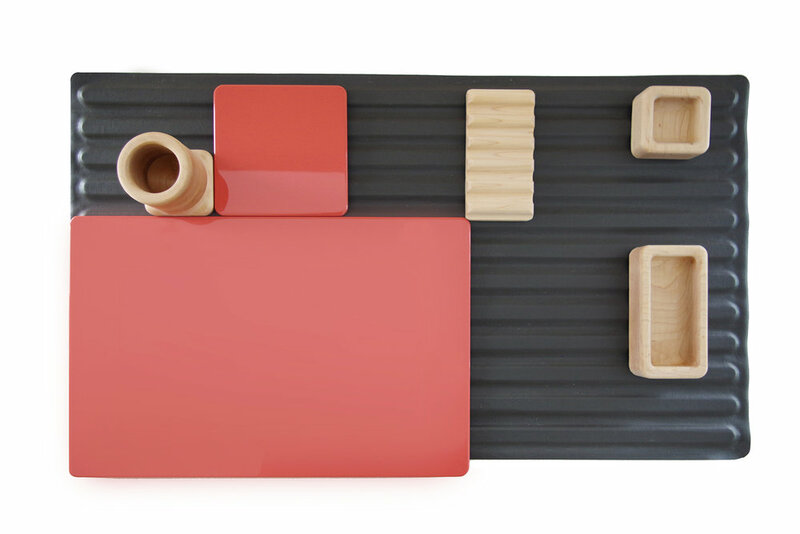 The modular add-ons are made of maple and aluminum, with the mat being made of vinyl.